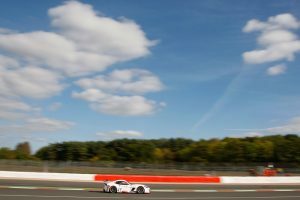 Silverstone Circuit in Northampton played host to the penultimate weekend of the 2014 Michelin Ginetta GT4 Supercup last weekend. Century Motorsport welcomed Aleksander Schjerpen into their Supercup division along side regular Tom Oliphant after the Norwegian spent 2014 competing with the team in British GT4. The nature of the national track layout made qualifying for rounds 23 and 24 a very close affair when it got underway on Saturday afternoon. 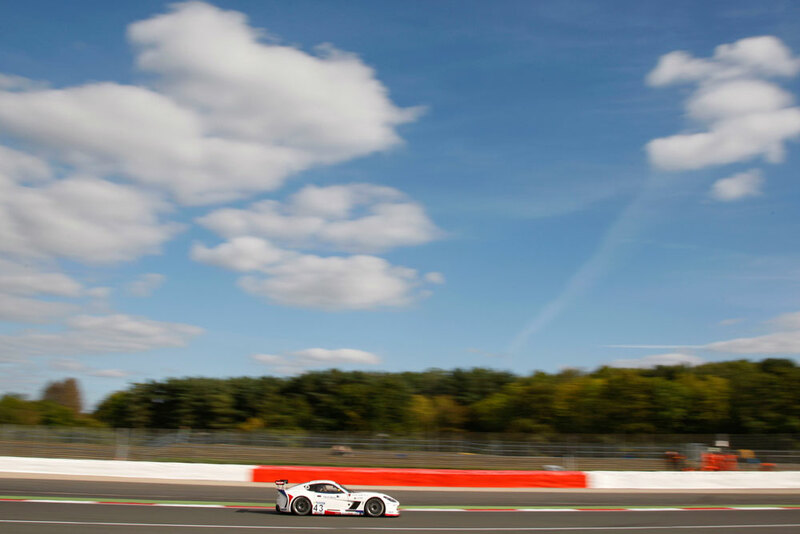 The top 12 cars were split by less than one second, with Tom Oliphant securing sixth place while Aleksander Schjerpen placed his Ginetta G55 13th on his debut qualifying session in this very competitive series. Boasting a bumper grid of 17 cars, race one of the weekend opened the day’s action on Sunday morning. Oliphant made a steady get away in the opening encounter holding his position going into Copse Corner. Further around the opening lap though, the Safety car was deployed but not before Tom had made his way around Jamie Orton who was being shuffled back through the pack. 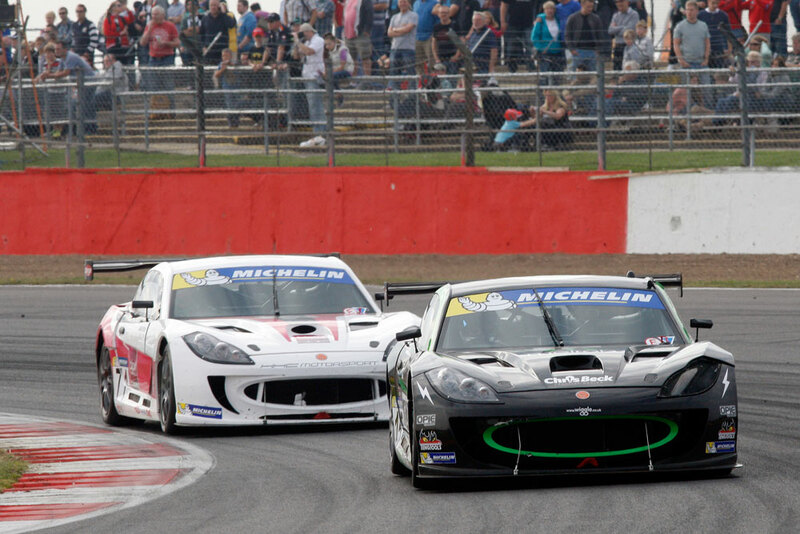 Aleksander had the task of familiarising himself with getting his Ginetta G55 off the line from a standing start unlike the standard rolling start procedure in British GT. Unfortunately this dropped him to the back of the pack but when the Safety car made way for the racing to resume, Schjerpen got his head down and started making his way up the order where he took the chequered flag in 13th. Teammate Oliphant ended the race in a solid fifth place after fending off some strong challenges from a recovering Jamie Orton in the closing stages. Starting as they finished in race one, Tom got away well from fifth and managed to move ahead of championship leader Charlie Robertson rounding Becketts before being forced to surrender the place later in the lap. Having learnt from his earlier start, Schjerpen made a much better start but unable to avoid some first corner contact at Copse, he fell to the back of the pack with it all to do once again. As in the day’s earlier race, the Safety car was required to clear Tom Howard’s car. With the top six cars all setting similar lap times, Oliphant found it difficult to try and make up any ground on the remaining laps after the restart. Despite a late challenge on Carl Breeze in the closing stages of the race, Tom had to settle for some more solid points and a fifth place finish. Aleksander who had been struggling with some damage from the first corner incident worked his way back up to 12th at the end of his debut Ginetta GT4 Supercup weekend.